Grow your Instagram audience by working with influencers. Want to gain visibility in front of millions of Instagram users? Consider influencer marketing in your integrated marketing communications strategy. A social media influencer has the power to sway opinions and impact the purchasing behavior of others in a specific target area and demographic. The more specific and targeted the clout, the more influence they have through social media marketing. An influencer’s job is to try new experiences, activities, products and foods, etc., and let others know about them through their unique lens. Consumers trust the opinions of influencers and are more likely to try these experiences and activities that the influencer deems “cool” and worthy of checking out. Influencer marketing also relies heavily on visual content marketing to “show” an experience as a way to sell it. Influencers can “influence” through organic product placement, Instagram takeovers, Instagram Live video content, Instagram stories or static branded Instagram feed posts. Traditionally, we relied on journalists to review experiences, try new foods and products and let us know their opinions. With the rise of social media, consumers are becoming increasingly more dependent on influencers to decide where to go, what to buy and what to do. The trend of influencer marketing originally started with bloggers and has now headed in the direction of “micro influencers.” Many influencers today don’t even have a blog. All of their content resides within their social media platforms. The evolution from long-form blogging to short-form influencer marketing has to do with shorter attention spans, the rise of visual marketing, and how people want to consume content. Today, influencers have to show what they are doing or selling instead of writing about it. Influencers become popular because people began to trust third-party endorsements from Public Relations rather than traditional advertising. There is a difference between saying “Check me out, I am great,” vs. “Check her out, she is great.” Consumers want recommendations from people they know and trust and influencer marketing provides that. If they feel like they have a digital relationship with influencers, and the influencer puts their stamp of approval on something, consumers are often more likely to trust the endorsement. Bloggers write on a website through traditional means, while influencers “influence” through social media channels such as Instagram feed posts or Instagram Stories. Bloggers typically spend more time on long-form content creation, whereas influencers devote more time to visual content creation and less time on the writing of the content around it. Influencers can help tap into new markets in your target audience that you otherwise may have had to spend more money to reach. While influencer marketing should not be your entire marketing campaign, it should be an important component in the PESO model of an integrated marketing communications plan. However, it is imperative to note that influencer marketing is only one component of your marketing campaign. It cannot replace an entire communications plan and should be complemented by other forms of traditional public relations, advertising, social media marketing, and content marketing. Vet the influencer. Many social media influencers tout their inflated follower counts to show that they have a higher following than they actually do. Check to see if their followers are real or just bots. One way to do this is to look at the ratio of followers to the number of likes and comments. Check to see if the comments are organic or spam that could have been bought through a third-party app or platform. Ask to see the influencer’s media kit. Vetting an influencer doesn’t just stop at how many followers they have. You also want to vet the previous work they have done with other brands. Ask for their current media kit as well as any success metrics for previous campaigns they have worked on with brands. Also, review the social media channels of companies they have done influencer marketing work with as possible referral sources and to look at the final branded posts. Do your research. Where do their primary followers reside? For example, if you are a hyper-local business, do you want to engage with an influencer who has a national or international platform? While the influencer can build great buzz about your product or company and get new followers for you, it will not be profitable if none of the followers are actually in your market. Sometimes, it is better to engage an influencer with a smaller following if those followers convert to profitable customers in your region than to work with a large influencer who has followers that will only lead to vanity metrics. “Likes” do not necessarily equal new customers and profitability. Understand the difference before engaging an influencer. Get it in writing. Make sure you are protected by having them sign an influencer marketing contract. Carefully outline what is expected of the influencer. For example, do they have final control over creative or do you? How long will the post stay up after it has gone live? Are you supplying copy for the post or will the influencer? Will the influencer allow your logo or text on their post or do they want visual marketing with no overlay? Are they okay with your branding or can the branding be used only if it is natively embedded in the image in an organic format? All details should be worked out before the project begins. Outline creative control. One of the scariest parts of working with an influencer is the lack of creative control. The influencer will be sharing their review of your product — what they like (and don’t like!) about the product to remain authentic. Additionally, the influencer will have their own branding aesthetic which may not match the branding aesthetic you envisioned in the final post. For example, if you are looking for the influencer to post product shots but they post photos of them with the product instead, you may be disappointed. It is important to understand the level of control you will have over the final post and its aesthetic. If you want to have final control, specify it in writing. Most influencers want to show their followers how the product fits in with their lifestyle, which may be different than how you or your CMO envisions the post. Have open lines of communication with the influencer before you agree to a deal. ✓ Is their branding similar to yours? ✓ Does the influencer have devoted followers? ✓ Is their content high-quality? ✓ Are their captions well written? ✓ Are their followers engaged with their content? ✓ Are their followers aligned with your target audience? ✓ Just because an influencer has a small following does not mean they are not worth looking at. ✓ Likes do not equal engagement. ✓ Influencers typically want to control how your product is shared creatively. ✓ Influencers have their own branding aesthetic that may not match yours. ✓ Let the influencer see how the product fits into their lifestyle. ✓ Audiences will respond better to authentic and organic content creation. ✓ Make sure the influencer’s followers are in your target market. ✓ Consider an influencers engagement rate, quality of followers and other brands they have worked with. ✓ Appropiately tag branded content on Instagram as “paid sponsorship” posts. ✓ An influencer’s loyalty will always be to their audience first. In the future, every person with an Instagram or other popular social media account will see that they, too, can become influencers. So, if you can’t afford to hire an influencer, consider your sphere of influence. Anyone can be an influencer; you just have to be willing to put in the work. Once you realize that you can be an influencer, you will recognize the power of your brand on digital platforms. The key is to define your niche and target audience and stick to it. If you’re a small business owner contemplating your next move in the changing social media landscape, remember this: the illusion that social media marketing is “free” is just that…an illusion. Using social media networks may be low or no cost, but what your company shares on them is as valuable as traditional advertising. As a result, real social media marketing takes time to produce content that can stand out in an already over-saturated market. From the initial post idea to concept, execution, creative work, hashtag research, Instagram Story strategy, photo sourcing and numerous rounds of edits, a social media post is never just a simple “post.” A post with no meaning behind it is just a photo and nothing more. Your business deserves more. 2) Increase the visibility of the creative to a larger, targeted audience. This is critical to fighting any new algorithm changes, such as the one that Facebook released earlier this year. You will be equipped with an arsenal of compelling content and media budgets to boost the content. Every time there is an algorithm change in the major social media networks, including Facebook or Instagram, debate ensues between digital marketing experts. Some marketers believe that if agencies are creating great content all along, they will be immune to algorithm changes. Other marketers believe that with algorithm changes comes increased budgetary requirements for ad spend to have more visibility of your content. While creating great content will certainly help immunity, you can only fight an algorithm change so hard if you have limited-to-no resource allocation on ad spend for these platforms. So, is it really about who is right in this debate, or is the larger issue how to define what great content means in the evolution of social media marketing. For example, a static photo post could have been considered great five years ago, whereas today, a video or GIF is much more compelling. In 2019, you need discretionary dollars to create what is considered great as content consumption needs change. In the old days of traditional advertising, companies spent weeks on one piece of creative that went into a magazine, newspaper or billboard. But then social media became the new magazine or the new billboard. However, with the advent of social media platforms, creative typically seen in print outlets is is expected to be produced daily and tenfold. In addition, videos were on the rise and social media platforms changed how viewers would see things and when. Social media marketing experts tell people to just “create better content” by posting more videos daily, doing Facebook ads daily and creating more graphic content. This comes with an incremental price tag that continues to increase when many small business owners aren’t even sold on the ROI of social media to begin with. It is important to understand the cost associated with all of these recommendations for the labor involved to produce this level of content. Producing this level of content requires more labor and a diverse skill set that includes graphic design, copywriting, photography, video production, branding and so much more. However, not every social media marketer is going to be a specialist in each of these areas. Therefore, social media marketing agencies now have to bring on specialists to produce this type of content. Rising labor costs from the agency side have to remain in line with the fees to produce the creative required for social media. The disconnect is that many small business owners believe a social media marketing specialist should possess all of these skills if they are hiring them. They do not want to pay a separate fee for the other services or specialists. This does a great disservice to photographers, videographers, writers, and graphic designers. All business owners need to understand that just because you or your social media marketing specialist own an iPhone, it does not mean you or they are a great photographer. The unrealistic expectation that you should be able to replace an entire industry to keep up with content output demands is hurting everyone across the board. Using the same tool does not mean you have the same craft. You hire a photographer for their vision, intricate knowledge of lighting and ability to shoot something you may not see. You hire a social media marketer to put all of this together and build a brand for your business. When you believe that a social media professional should be able to be a photographer and a marketer, you are hurting your business. A social media marketer is skilled at taking all of these assets and creating a beautiful Instagram grid. Not all, however, are skilled at taking photos or having the same artistic vision a photographer has. Similarly, a great copywriter may produce excellent copy for Facebook posts, but may struggle with producing a visually appealing Instagram theme. But it’s all social media, right? Many small business owners already think that paying for social media marketing is too expensive. On the other hand, many agency owners think that their services are way underpriced for what they are delivering. Essentially, two different ideas of what constitutes value for money in the social media landscape is the cause of the friction. As a business owner, you want your budget to stay the same, but the truth is that to compete in new social media ecosystem and stay ahead of algorithm changes, you need to increase your social media marketing budget. If a social media agency owner is to deliver the type of content that is needed for a business to stay relevant, they will most likely need to request a larger retainer. The traditional social media agency model for small business owners is simply broken. Expectations on content output continue to increase, while fees stay the same. But the changes were so gradual, it was hard to stop the slide. This meant that costs for social media marketing subscriptions, software and talent all continued to rise, while retainers did not. What is needed to make an impact on social media and what people are generally prepared to pay for that, is incongruent with market rates for these services. Social Media Marketing agencies that primarily work with small businesses will struggle to deliver real results without raising retainer costs to allocate for media buying and increased content production. On the other hand, NYC Social Media Marketing agencies that are given budgets for the creative required to compete will rise to the top. So where does this leave small businesses, and social media marketing companies for small businesses? If you can’t pay increased fees to produce the creative necessary to compete on social media platforms, spend more time focused on long-form content or other outlets where you will see greater rewards on a limited budget. Those who produce great content will win in this social media economy. However, it would be negligent to say that content alone is enough. You do need to allocate resources for digital advertising if you want the content to be seen by a larger audience. At some point in the near future, social media platforms may charge companies to use their platforms. It is important to remember that social media platforms are merely rented space. Think about it this way- it is better to own than to rent property. The same is true for social media- invest the time in creating content that you “own” and if you get kicked out as a tenant of a specific social media platform (Facebook starts charging users), you can take your content and move it to another platform (Twitter) without feeling like your investment went down the drain. Diversify your social media assets so you are not putting all of your content into one network that may change at any moment due to algorithm changes, and always save a copy of your content in case the platform decides to remove your account or block your content. The trick is to learn how to leverage one piece of content in different platforms beyond just using it as a simple post to get the most out of it. There should be a plan for creating/producing the content and a secondary plan for the promotion and dissemination of the content so that it can reach your entire patient base in a way that builds your practice. It is critical that small business owners begin to understand why they have to pay more for a similar level of social engagement as they received before. Similarly, it is also important to understand the bind that agencies are in when business owners decide not to increase budgets for social media marketing services. If a social media agency carries on without a proper budget for boosting posts and producing the required creative, a limited number of people will be viewing the content, and the ROI may be limited. If you are planning on hiring a social media marketing agency in 2019, equip them with the proper resources to create the necessary content for your business to compete in a saturated digital ecosystem. This will benefit your business and you will see stronger results, better creative and a more substantial long-term ROI. Leverage social media for corporate event ideas – If you have already chosen an event theme but need more ideas bringing the activation to life, search under relevant hashtags on social media. For example, search “Corporate Event” on Pinterest, #CorporateEvent on Instagram or the full phrase on Facebook. If you are going with a unicorn theme, try searching under #unicornparty and create a mood board of everything you find to pull inspiration from. Make it experiential – Think about how you can make the event more Instagrammable with user-generated content. Turn the brand activation into an experience that people want to share on social media. Add visual elements to make the activation pop, such as a flower wall, a balloon wall or even a colored background. People crave shareable social experiences, so think about how you can create this for them. Create a custom hashtag – One way to capture photos is to create a custom hashtag that attendees can use on social media. Be sure to make the hashtag visible with signage at the event. You can follow the hashtag on Instagram to keep up with all of the tagged images so people can view the images post-event. Don’t forget the swag – The best part of any PR event is always the swag bag. You can create your own custom swag bags and include branded items with the name/details of the event. For example, if you are planning a corporate event, you can give guests custom branded cookies with your logo on it. If you don’t have graphic design skills, you can have these custom-made for you. Think visually – Sometimes the greatest ideas come from visual elements that are popular in pop culture. For example, we recently did an activation for Crowne Plaza White Plains for ‘Best of Westchester’ which included a pop-up bar and over 3,000 unicorn drink floaties. We promoted the drink floaties on social media before the event and during the event. Everyone wanted photos with the unicorn floaties and they were the hit of the event! Plus, people kept them after the event for pool parties which was an added bonus! Think about how you can create a branded visual item that people will want to put on their own Instagram feed, and that they will want to keep long after the event has ended. We were recently interviewed by Brand Yourself on why every doctor needs a personal brand. Read the interview here to find out why content marketing is critical for medical practices, 5 ways doctors can use social media marketing to promote their practice and how doctors can leverage a healthcare public relations firm to increase exposure and attract new patients. Why is it critical for doctors to establish a personal brand? In today’s environment, the competition in the medical field is fiercely competitive. It is not enough to create a website, place some directory listings and hope that people will magically find your medical practice. If you want to establish trust with patients before they ever come in, building a personal brand is a great way to do that. There are numerous benefits for doctors to invest time and resources in building a personal brand. For starters, it leads to more qualified prospective patients before they come in. It creates a relationship with patients and opens up a 2-way dialogue well before they ever visit your office. It can also cut down on incoming call volume of potential patients asking the same questions over and over again—another perk of content marketing for doctors. What are some successful social media marketing strategies for medical practices you would recommend? The best marketing strategy for a medical practice includes a heavy focus on content marketing. Although it takes a lot of time to sit down and write these articles, it is instrumentally helpful for building your medical practice. If you successfully implement a content marketing strategy for your medical practice, you are creating a resource library of educational content for prospective patients. This content will give patients a real understanding of your deep knowledge base in a specific area. The first place potential patients go to when visiting a site is typically the medical practice’s blog—if you don’t have any information on it, you are missing out on a prime opportunity. The bounce rates are also typically higher for medical practice websites that lack strong content. Investing time and resources in targeted landing pages on service offerings, optimizing your site and investing time in content marketing would be the first place to start if you are serious about marketing your medical practice. Why should a doctor hire a NY public relations firm for their medical practice? What is the benefit? Can’t they just do it themselves? Public Relations builds trust- and when deciding what physician to see, trust is one of the top factors. People want to see a waiting office (or a web site) filled with “As Seen In” plaques of media outlets you have been featured in from third-party sources. Subconsciously, this makes them feel more comfortable with you and builds trust. However, even if you have top tier media mentions but poor Google Reviews, there will still be inherent trust issues that a long-term reputation management strategy would be more likely to remedy. Is HARO (Help a reporter out) a replacement for PR and personal branding for doctors? Haro is a great resource for doctors to build media mentions. However, responding to haro queries is not a comprehensive public relations campaign for your medical practice. If you are looking to build referrals with other physicians, conferences and events may be a more suitable approach to achieve that goal. It is important to note that there is an art to pitching and crafting good responses for HARO. Some doctors may be more likely to craft responses back to these queries in medical jargon, which is not necessarily what a reporter is looking for if they are writing a consumer piece. Having a Public Relations consultant who specializes in the medical field would be ideal. If you are just starting your practice, then Haro is one of many great tools to keep in your arsenal. Why is content marketing crucial for medical practices? Patient needs have infinitely changed. Unfortunately, they expect a steady flow of information coming from your practice. If they look up a medical practice that has no content or strong referring backlinks to their site, this is troublesome. Or perhaps a Facebook page for the practice that has never once been updated. All of these are red flags to the social media savvy millennial consumer today when searching for a doctor. What are some benefits of social media marketing for medical practices? Will it drive new patients? Social media marketing is great for maintaining a steady flow of communication with your current patient base. For example, many of the medical practice Facebook pages we manage receive consistent comments, likes and shares from their current patients. As a doctor, you may think, why am I paying a social media marketing agency to market to my existing patient base if I already have them as patients? The reason is because every time they are sharing or engaging with your content, it is being promoted to their entire friend list which could be in the thousands. These are all potential new patients for you, many who are located in your geographic area. Practices that are more active on social media also have patients that feel more “connected” to the practice. Another perk of social media marketing for medical practices- particularly with millennials- is that they don’t have to pick up the phone to call you. They can get their question answered directly from Facebook or Instagram through a comment thread or Direct Message. For many millennials, myself included, that would be reason in itself to choose a doctor (someone who communicates with you the way you like to be communicated with!). What are two ways doctors can use content marketing to promote their mediacal practice and attract new patients? If you have invested time and resources in a great piece of educational content, make sure it is optimized with relevant keywords. Next, promote it in the right channels. A great way to do this is through targeted Facebook ads. So, if you are a dermatologist in NYC and write a piece on the top 10 ways to achieve greater skincare, target the post to people in your demo by hobbies, age, location, interests. You may also consider retargeting as an additional component. Can traditional media exposure grow your medical practice? Absolutely! People love to see their Doctor on TV. What exactly is medical practice public relations? Medical Practice Public Relations is the practice of keeping a doctor in the news. Whether it is commenting on current trending health items (ex. The opiod crisis) or getting quoted in trade publications, medical PR keeps your practice visible. Another added benefit- perhaps the most overlooked benefit of medical practice public relations is the link juice you receive from high-quality media outlets every time you are quoted. All of these backlinks help build your authority over time with Google. So really, you can either hire a top PR firm, or an SEO firm- or both- but there is no avoiding that the work needs to be done for a medical practice to stay visible. How can a doctor leverage social media marketing to build their personal brand? Social media marketing is ideal for personal brand building for doctors- it gives you a platform to share your press mentions with others in your industry, which can indirectly lead to other speaking opportunities at medical conferences or more social media. mentions. The social media savvy doctors on Instagram are crushing it today- they have become the new “influencers” of the medical field- and as a result of social media, many have even bypassed having to hire a traditional Public Relations firm because the media comes to them directly (through direct message!). What do I need to know before hiring a New York public relations firm to promote my medical practice? The number one thing you need to understand is the amount of time it takes to work with a healthcare public relations firm. You also need to have time in your schedule to respond to their press requests, usually on a minute’s notice. If you enjoy having a very scheduled day with no interruptions, a healthcare public relations firm may not be the best approach. Doctors who get the most out of working with a medical PR firm answer the media immediately when they call. You also need to know that everything is a balancing act between the PR firm and the media outlet. Even if you spend two hours answering a press request and craft a one-page response, only 2 sentences may be used in the article. You have to be comfortable with the inherent lack of control that comes with working with a medical Public Relations firm and the media. Things often change very quickly and you need to be able to adapt to that. Also, think about what kind of media is preferable for you. For example, if you don’t have the luxury of shutting down your practice for the day when a TV producer calls and wants you on set in an hour, radio may be a better approach for your medical practice. Does a doctor really need a NY Public Relations firm to promote their medical practice? Yes, unless you are a super savvy social media influencer who has already amassed thousands of followers on your own, you should consider working with a medical Public Relations firm. The majority of doctors you see quoted in the media don’t miraculously land those spots. They simply don’t have time to be pitching themselves to media or managing the tedious work of media outreach. They are focused on their medical practice and seeing patients. Sure, anyone could technically do PR successfully on their own if they put in the time, but from my experience, doctors have very limited time and this is not top of their list. They want to focus on practicing medicine, not on the business of medicine. What are some critical elements of a public relations campaign for a doctor? Getting quoted in digital outlets, feature articles on your practice in regional publications, radio appearances on trending news topics, award submission/ nominations for top doctor categories, pitching for conference speaking, promotion of conferences, coordination of marketing materials for conferences, content marketing, social media marketing, and promotion of press hits on social media. The list is pretty long…medical practice marketing and PR could be a full-time job! Why does a medical practice need to be visible if they have nothing newsworthy to promote in the media? I constantly say that we don’t do marketing- what we do is medical practice communication. Doctors need practice marketing the same way they need to drink water, sleep or eat. It isn’t really up for debate. It is a critical component of the way that people communicate today. You are either in the conversation or you are completely left out of it. It is better to have a hand in mitigating risk and managing the conversation than to let angry patients trash your reputation online or make false speculations. Doctors don’t have the luxury of pausing marketing campaigns either. If they expect to build real relationships with a community, they can’t pause the conversations for months at a time. Imagine trying to build a relationship with someone but saying, “I have nothing new to tell you so I am just not going to speak.” The details are in the daily interactions- that is the ‘life” and the pulse of a medical practice. Those are the patient stories people want to hear. But expecting this to be a big media blitz to start or stop is not at all what healthcare marketing is all about. To reap the benefits of medical practice marketing, you need to make a long-term commitment to stick with it and understand why you are doing it. It isn’t because you have something to promote. It is because it is what the new patient of today demands of your practice. The medical practices that choose to ignore this truth will lose out to the practices that are embracing this and will, unfortunately, become obsolete. Look at any social media savvy practice owner and ask them how they have built their medical practice. The majority have done very little traditional advertising and gotten most of their referrals through patients online via social media marketing and personal branding efforts. They would never think of pausing social media/ PR / marketing because it is so ingrained in their digital DNA. They don’t view any of this as marketing or PR- they view it as living and communicating. What are some social media marketing mistakes doctors make when promoting their medical practices? The biggest social media mistake doctors make is that they ask their office manager to run social media marketing for the medical practice. Another mistake is not consulting with legal counsel before launching a social media marketing campaign for your medical practice. For example, the law can be tricky with what medical questions you answer on social media platforms or what type of patient information is revealed and transmitted through secure/unsecure channels. Someone who is an office admin, or even a social media specialist, may not know the legal intricacies. Social Media Marketing is great for building your medical practice- but it also infinitely opens you up to legal risks if not handled properly. It is critical to invest in the right resources. Social media moves so quickly- there needs to be a plan in place for responses on behalf of the medical practice. Another obvious mistake is being overly self-promotional or still using social media like it is a traditional ad. Any personal branding tips for physicians? Think about what area of expertise you want to specialize in as a medical expert. For example, do you want to be branded as an expert in Crohn’s disease? As the leading spinal surgeon? Before I start any healthcare public relations campaign, I always do a deep dive discovery session with a doctor. You need to have a personal branding strategy before you can have a larger strategy for the medical practice. If you were booked as a medical expert, what would the lower third refer to you as on screen? Interested in increasing media exposure for your medical practice? Click here to view Medical Practice PR, RMG’s division dedicated entirely to healthcare public relations for doctors and medical practices. Click here to see case studies of media coverage and press placements we have generated for our medical PR clients. Social Media Marketing should enhance your resume, not detract from it! NY Social Media Marketing Agency Owner Kris Ruby of Ruby Media Group was recently quoted in Brit + Co discussing how to make your social media profiles job search ready. Social Media Marketing is a critical component of your job search. Social Media can either help your job search or really hurt it. Taking the time to develop a personal brand and clean up your social media profiles can pay dividends in landing the perfect job. Below please find our top social media marketing tips for Job Seekers to keep in mind. Use these tips to ensure your Social Media marketing profiles are PC & Scandal Free! Not deleting Politically Charged Social Media Posts that could be seen as offensive- Landing a job is already challenging enough without adding politics into the mix. Your future boss may love you, but if they see a political post that goes against their political beliefs, it, unfortunately, could sway their opinion on your candidacy for the role. Call it unfair or even illegal, unfortunately, social media does come into play during the hiring process and it is here to stay. Forgetting to update your social media privacy settings— expect that employers will most likely look up your social media during the interview process. You want social media to showcase the best possible version of you and to support what you are saying in your resume. Social media should add to your overall interview package- not take away from it. Not Updating your Bio on Social Media Profiles- Your Bio on Instagram, LinkedIN and Twitter should reflect the role that you are seeking. Use this prime real estate to your advantage. For example, if you are seeking a luxury marketing job in Westchester, NY, your bio should say Luxury Marketing Specialist— Westchester NY not Fashion Marketing NYC. Create a profile for the job you want to get so that your brand matches up on every network to coincide with your resume. There should be no discrepancy between what you are saying you are passionate about vs. what can be found on your social media. Forgetting that Instagram stories can be screenshotted– Even if your social media profiles are on lockdown, companies can be wise with having other millennial employees follow you and view your stories. Just because it disappears does not mean that someone hasn’t viewed it. Keep this in mind when searching for a job and be more cautious with what you put up in your Instagram story. The job candidates who stick out are the ones who use social media to their advantage by developing a personal brand. Identify your most unique attributes and choose a niche area that you want to be an expert in to stand out from the competition. Also be sure to create a personal brand website with a portfolio for employers and recruiters to view your previous work. You should invest in a nice high-resolution headshot that can be used on all of your social media profiles. Do not use any old iPhone selfie shot— make sure it is professional! Recruiters aren’t the only ones who will be looking at your social media profiles. Your potential colleagues will also be scoping you out on Instagram or Facebook! Here are 3 other ways to use your social media profiles to show you are a fun person to work with. Show Hobbies- Do you volunteer? Do you love animals? What makes you tick? Your social media profiles should reflect that. For example, if you love animals and spend time volunteering on the weekends, this could actually help you in the interview process if the company you want to work for is very into animal rights and works with a rescue group. Share Travel/Food photos- Do you travel often or love to eat out? One thing that 99% of people have in common is a love of great food and travel. If this is part of your life, showcase some of these images- it can show your colleagues that you enjoy being part of the vibrant downtown scene in your city and that you know what’s trendy. Actively post on social media- Believe or not, many recruiters are fed up with the traditional recruiting channels and turn to social media to look for new candidates. Make sure you are active on Twitter and LinkedIN to increase visibility and get found. Your social media could actually be the reason you land a job, instead of the reason you don’t get the job! Making sure your social media profiles are well branded is only half the battle. Social Media can also cost you your job if you misuse it after landing your dream job. Click here to read 10 WorkPlace Etiquette Mistakes You are Making on Social Media. Didn’t get what you expected from your last Social Media Marketing campaign? Here’s why. You have invested a great deal of your marketing budget and valuable time in social media marketing, but you may not be getting the return on investment (ROI) you hoped for. You’ve read about other businesses who are thriving on Twitter, attracting customers from Pinterest and Instagram and making money from targeted Facebook ads, but yours isn’t one of them. Before you pull the plug on your social media marketing campaign, take time to review what is and isn’t working and refine your strategy. When trying to assess what works, be sure not to skip over the basics. Review the following key areas every quarter. Not paying attention to some of these very simple rules could be the reason why your campaigns are tanking every month. Remember to invest in a social media marketing strategy up front, before engaging in social media, to avoid making critical mistakes. You don’t know who your target audience is: First, do you really know who your customers are? Are they teens, young millennials or baby boomers? Mostly men or women? The content that you put up on social media should be of interest to your customers, but you need to know who they are first. If you’re unsure, spend some time researching who is buying your product or services and who is engaging with your content. If you don’t have a crystal-clear idea of who your buyer persona is, your Facebook advertising campaign will also under perform. You never look at analytics: What content is performing the best with your target audience? Do they like images, video or long form content best? Out of the content you created, what generated the highest share count? If your followers love to engage with pictures, but do not seem interested in back-and-forth discussion, Instagram may be a better choice. Measure the shareability then tweak accordingly. Also, be sure to dig deeper than basic Facebook insights. Familiarize yourself with Google Search Console and Google Analytics. Review how much traffic is being driven from social media back to your website, and look at the sources that are driving inbound leads to your site. You create boring content: Is your content even shareable? For example, you want your customers to know what a great staff you have and you are posting office photos daily. While customers care about customer service, if they are not sharing or commenting on these photos, stop posting them. Instead, try focusing on the benefits of your products and services and provide tips or articles that help your customers live better lives. Stop wasting time creating content that your customers are not engaging with. Rule of thumb: if you wouldn’t share the content you are creating, stop creating it. If you can’t personally see yourself even giving it a measly like, why would someone else like it? You don’t respond: Are you tweeting out questions and not responding when your customers answer? Do your followers tweet and tag you, but you don’t interact with them? According to Entrepreneur Magazine, almost half of the millennial segment — and one in three consumers overall — say they are influenced by social media and use it to make purchasing decisions. Customers build relationships with companies through social media, so you need to take time and respond to them. If they do not see that you are responding, they will leave you behind in the social media dust. But really, the number one reason why your social media campaign bombed? Because you are inconsistent. Social media is a daily practice. You have to post consistently to build an audience and get results. One hit wonders don’t do very well on social media. You can’t post religiously for two weeks and then ghost your followers for two months. Your audience won’t build up trust in your brand and won’t rely on you to provide consistent, steady content. Lack of consistency is the number one reasons most social media campaigns do not take off. Occasionally, small businesses with mediocre content will perform far better than large-scale agency campaigns simply because they post daily and put themselves out there. Half the battle is consistently using the technology and engaging with your audience. Devoting time daily to your presence on social media is a must in order to grow your followers and succeed. Without it, you will perpetually be in a failure-to-launch phase. Even the most expensive New York social media marketing agencies won’t be able to help you if you are not committed to consistently creating new content and measuring the performance. How is Instagram Stories similar to Snapchat? Which social media platform is better for a medical practice? Instagram stories is similar to Snapchat because it enables you to share the best “live” feed moments of your day through photos and videos. You can also add in location, tag other accounts and even draw on your photos. Regarding which is better for medical practices, that depends on where you have already built a patient base. 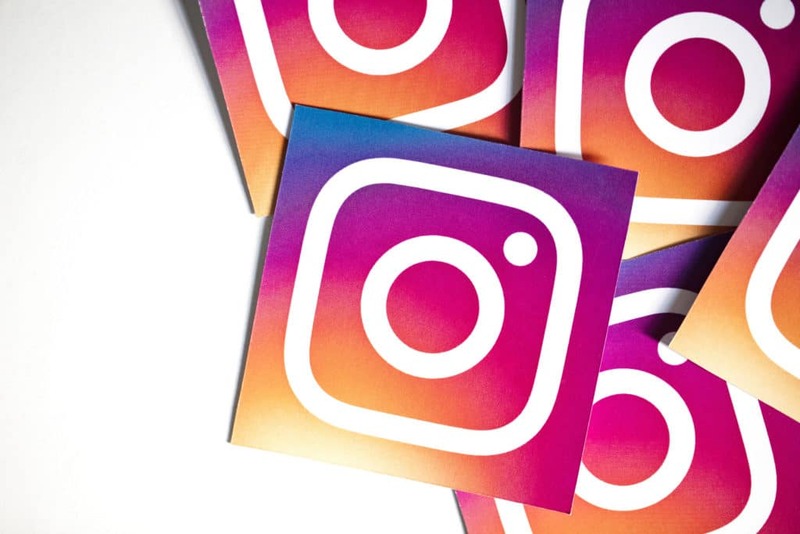 For example, if you already have 1,000 active followers on your business account on Instagram, then it makes more sense to leverage Instagram stories for greater visibility. However, if you have 5,000 people following you on Snapchat, then more people will see your live Snaps then on Instagram stories. Use the live streaming features of the platform you already have an established following on. Instagram stories makes more sense than Snapchat for medical practices because anyone can publicly see them- you don’t need to add someone as a connection to view the story. How can doctors make the most of these new social media changes to grow their Instagram followers? Physicians can make the most of these changes by integrating live streaming into their daily business practices. It is no longer enough to just post aesthetically pleasing photos on Instagram or Snapchat. If you are skipping out on live streaming, you are missing out on the entire social media experience of what fans are expecting to see from your account if they follow you. Furthermore, as more of these networks experiment with new features, there is a tremendous opportunity to be one of the first to start using them before everyone else figures out how to. This means more eyeballs on your services- for a cosmetic surgeon or someone in aesthetics, this can be substantial. What are some other ways medical practices can increase their Instagram followers and engagement? Medical Practices can increase their Instagram following through planning out their Instagram “grid” of photos a week or two before they ever post anything. This will help to establish a solid brand aesthetic, which is important to their potential followers. If someone is thinking about following them, the first thing they will do is look at their last 9 photos. If they look disjointed and unbranded, someone is unlikely to follow them. The next way medical practices can increase their Instagram following is through leveraging influencers. For example, if you are a top doctor in Westchester County, you should reach out to the blogger/influencer in your town that everyone goes to for advice. Even if that influencer isn’t looking for a specific medical treatment you offer, they may have a writer who is- invite them in to experience a new procedure and have them post photos and live stream their experience. Then, regram their posts from your practices page- this will help to increase followers as you will pick up some of their followers in your geographic location- which is highly targeted and can have a high conversion rate. A third way to increase followers and engagement is to start following the hashtags in your industry and town and comment on those photos. Like them, favorite them- leave comments to show you are engaged. You can also DM (direct message) potential followers to strike up a conversation, as long as it isn’t salesy or spammy! We also recommend tagging other accounts in each Instagram post to increase followers. This will display the photo on the “tagged” section of their Instagram page. Potential patients interested in finding a doctor will look there first. How can medical practices repurpose existing content for Instagram posts? One of the best ways to repurpose existing content for Instagram posts is to regram photos of patients who have posted photos at your office. This is often an underutilized part of a medical practices Instagram strategy. What are some other tips to consider when building out a healthcare social media marketing strategy for my practice on Instagram? Tip: Strategically Hashtag. Do not make the mistake of only hashtagging industry related keywords. This does not help potential patients find you- and only helps others within your industry find you- which won’t expand your digital footprint or increase followers if you are looking for leads on Instagram. For example, if you are a NYC Surgeon, hashtagging #surgeon #Doctor #medical does not necessarily help those find you who may be looking for solutions to their health-related problems. Hashtagging keywords related to what potential patients would search for is a better strategy. Tip: Add video to your content. This may seem pretty obvious, but the majority of NY Physicians still opt to post regular, static based photos on Instagram instead of videos. If you really want to become an influencer or dramatically increase your followers, you need to invest in video production. The people that are most successful on Instagram are leveraging video and basically have their own TV channels on Instagram. Give people a reason to tune into you. Tip: Do not share your Instagram posts to every other channel. This is a big mistake medical practices make on Instagram to save time. They connect their Instagram account to Facebook and every other social media channel. However, Facebook will actually rank these posts lower in your feed because they prefer to see posts directly shared on their platform. What your practice posts on Instagram should not be the what it posts on Twitter or LinkedIN. You need to diversify content instead of mass posting to all of the other channels. Tip: Comment on others posts. One of the best ways to grow your medical practices Instagram account is to comment and like others posts. This is a better approach than mass following hundreds of accounts and unfollowing everyone that doesn’t follow you. Spend more time engaging with the content you like and the followers will organically come. Social media seems like fun and games—until it isn’t. There are many legal mistakes that small business owners make daily on social media. Most of the time, they are lucky enough to get away with them. But as the FTC continues to crack down on influencer marketing and sponsored posts, more people are paying attention to what they are posting. If your social media agency isn’t trained in the legal ramifications of social media activity, you can still be held liable if the posting is done from your account. I spoke with three leading social media attorneys for a rundown on the legal mistakes you are making on social media and how to avoid them. 2. Regramming without attribution. Thinking of regramming a photo a customer took at your restaurant? Be sure to provide proper regram credit and attribution. “Regramming a photo with attribution may be acceptable, but it may not. If there is a creative commons license attached to the photo that allows for use with attribution, that’s great. But more often, the content on Instagram isn’t sourced by these apps with this in mind. Giving attribution mitigates against copyright infringement damages, but it doesn’t completely solve the problem,” says Hilfer. She adds that brands using Instagram should also develop internal content curation guidelines that account for risk in a variety of different categories. 3. Failure to properly disclose influencer marketing campaigns. Business owners should be aware of recent FTC guidance urging transparency on Instagram. In April, the FTC sent over 90 letters to companies, celebrities and other social media users reminding them of the legal requirements for clarity in influencer marketing. According to Hilfer, endorsers must disclose their material connections to the brand. The federal agency offered specific guidance on how to do that. For example, any disclosure should be placed before the “more” button since many consumers will not click through. In addition, the FTC warned that certain kinds of hashtags would not be clear disclosures. Marketers should work with their legal teams to ensure that influencers, whether they be employees or third parties, make proper disclosures on Instagram and any other social media platform. Penalties for violating FTC guidelines have ranged from $20-$50,000 with a range of other requirements for compliance. The FTC can pursue legal action against both the brand and the influencer. 4. Improper formatting of sponsored posts. The FTC has cracked down on influencer marketing campaigns, including the exact formatting of these posts. According to Hilfer, the mere presence of a disclosure may not be enough to satisfy the FTC. If the post contains multiple hashtags, links or tags, you must separate the legal disclosures to make sure they are clear and conspicuous. “If an influencer includes ‘Thanks [Brand]’ or #sp or #partner, these notations may not clearly indicate to the consumer that the post is sponsored. You have to put yourself in the mindset of the consumer seeing the post,” said Hilfer. While the FTC has been clear that there are many acceptable ways to make disclosures, it explains that any term that has many interpretations will not provide the appropriate clarity. 7. Not reading the terms of service. For any social media platform, check the rules in their terms of service. The legal ramifications vary on each social platform. Many social media sites’ TOS state that you agree to only post images for which you own the copyright or for which you have permission to post. “The terms may state that by posting an image, you give other users permission to share the image on their profiles on that platform (ex. sharing on Facebook.) If you want to use the image of another person in your Facebook ad campaign, be sure to familiarize yourself with the applicable state laws on a person’s rights to publicize their image,” said Carter. 8. Reusing someone else’s license to a purchased stock photo. You found the image you were about to purchase on iStock through Google images (for free!). You directly pull the image onto your desktop and upload it into your content queue for the week. However, this mistake can be costly. According to Carter, you can only use images that you’ve received permission from the copyright holder, either directly or via a license like Creative Commons. “For iStock photos, read the license the person purchased. Your use must comply with the limits of that license. If your third-party creator bought the license, make sure it allows you to use it without having to buy your own license. Many of the agreements between independent contractors and the hiring party state that the contractor isn’t the company’s agent, so they can’t make purchases for the company. Unless the license for the image is transferable, the company has to buy their own license unless the terms of the license state that the agent’s license is sufficient,” says Carter. If you want to use an iStock image, buy your own license and avoid the risk. 9. Not having an internal social media policy. As personal branding and social media become more ingrained in our society, it is imperative to have a social media policy and a promotional clause as part of your employment agreements. For example, if your employee is promoting herself as an expert in the same line of work that you are in, is this a conflict of interest or is it acceptable? If the employee is using social media (LinkedIn) to pursue outside job opportunities while on the clock, are you protected? If the employee builds a substantial following on social media while working for your organization, who owns the rights to this fan base? Many business owners don’t anticipate these issues, and the hiring and firing surrounding these issues can often result in wrongful termination lawsuits. Adam Katz, an employment law and commercial litigation attorney at Golderg Segalla, says that most employers don’t realize they can be held liable if they terminate employees for certain posts and social media activity pertaining to salary and other work conditions. “An employee can bring a lawsuit for wrongful termination and discrimination if they believe they were fired for something that a supervisor saw on social media but otherwise would not have known.” Katz emphasizes that employers need carefully tailored social media policies that limit a supervisor’s social media activity with employees. “A good policy will state that while employees are allowed to associate themselves with the company when posting, they must clearly brand their online posts as purely their own. Additionally, the policy should make provisions for reviews and editorial rights of all posts or blog entries that reference or pertain to the business of the company. The social media policy should also prohibit employees from using derogatory words and racial slurs and from divulging confidential company information such as design plans, internal operations and legal matters,” says Katz. 10. Pulling content from Google Images. Many small business owners do not have subscriptions to iStock or Shutterstock, so they pull whatever they can find from Google Images. However, Google Images is not a free library. This mistake can be extremely costly. Not only will you incur legal fees if the originator of the content decides to come after you, you also may be liable for treble damages under copyright law. “Possession does not yield copyright ownership. There is no 10 percent or 20 percent rule that allows one to take a certain percent of content and use it without a license. This is particularly the case for commercial purposes. The fair use defense requires significant legal analysis. It may not be available, depending on the facts of each case,” explains Hilfer. 11. Not budgeting for legal recourse. Posting on social media may be free, but paying the fees associated with a lawsuit spurned by social media gone wrong is anything but that. According to the experts, social media lawsuits can cost small business owners upwards of $100,000. Many small business owners do not budget for the cost of an attorney if something goes awry with their marketing campaign. “Suing for infringement is complicated, and you have to be ready to front the costs of litigation, even if you’re in a situation where you are likely to be awarded attorney’s fees if you win. If the other side doesn’t have money, you may never collect, and you still have to pay your lawyer. For many people, sending a cease and desist or a DMCA takedown notice is the more effective and cost efficient way to proceed,” says Carter. 12. Making employees promote your company on their personal social media profiles. As a small business owner, your employees are a critical component of your social media strategy. After all, the millennial in your office has way more Facebook friends than you and can definitely increase engagement on your posts, right? Wrong! According to Carter, there is a big difference between making content available for employees to post on their social media profiles if they want to and requiring them to do so. Carter explains, “The former may be permissible; the latter is not. Review the terms of the social media platform where you want employees to promote the company. The platform may forbid people to use their personal accounts to promote a business.” Next time you want to terminate an employee for not complying with your request to promote the business on social media, understand they may be able to bring up an actionable claim against you. If they suspect they are being asked to violate the terms of the platform, they can report their employer to their state’s Department of Labor or the Attorney General’s Office. Don’t assume you understand the legalities of social media. Read the applicable terms of service and work with an attorney to understand the legal ramifications before clicking post. Prior to launching a social media marketing campaign, you need to outline clear objectives. Are you aiming to increase followers? Build a community? Optimize content marketing distribution? The key to having a successful social media presence for your business is developing a digital strategy. Without this, you are basically throwing things against a wall—no pun intended—and hoping something sticks. Your social media channels are the most front-facing part of your company. Whereas you used to have to buy ad spots, now you can post content, surpassing traditional media gatekeepers and directly controlling the message. But to do so effectively, you can’t cut corners. If large, successful companies have poor social media channels, they can appear mismanaged. On the flip side, small companies with great social can develop cult followings. If you make a misstep or don’t invest in a strategy, followers will doubt your authenticity and authority. If you want your business to shine on social media, avoid making these 10 mistakes. 1) Your graphics are amateur. Are your photos high resolution or are they out of focus? Are they creative or generic? Does your Instagram grid have a cohesive identity or does it have poorly lit photos with text overlay saved as a screenshot in Microsoft Word? Social media sites are visual, so having great graphics is half the battle. 2) Your messaging is generic. Can anyone in your industry post the same content you are posting? Or do your posts have an angle? There are companies that sell stock social media imagery and posts. Could your posts be seen as interchangeable with this content or are they unique? If your content could be used on any other practitioners Facebook page in your industry, then what you are paying for is worthless. Social media requires hours of planning, graphic creation, boosting of posts, A/B testing and long form content creation. If what you are posting could be posted by anyone else, don’t bother. Until you’ve identified the overall message you want to convey, you shouldn’t be posting. 3) Your brand identity is misaligned. Do your posts follow core brand guidelines? Do you have a clear idea of what is on-brand versus off-brand? So many companies with beautiful branding completely ruin it when they hand the keys to a new, inexperienced social media manager. There needs to be a cohesive strategy that unites traditional and digital branding. 4) You lack a clear social strategy. Are you trying to be everything to everyone? Are you hopping on Snapchat even though your core demographic is females age 60 and over? Instead of trying to be on every social platform, pick the ones that your target demographic uses. Use your resources wisely to target your customer more effectively. 5) Your office manager is running your social media. This is the most common mistake small business owners make. They want to save money, so they hand over the keys to anyone under 30 that already works for them. Let me be clear: Social media is a real job. The skill set required to be an effective community manager includes impeccable writing skills, image creation abilities and strategic vision. Would you trust the office manager to build a new website for you? No. So why would you trust them to essentially build a micro site for you on social media? 6) You post too often. Do not post for the sake of posting. Once you have laid out your goals, you need to reverse engineer a social media strategy. Sometimes less is more. On social media, that is the case now more than ever before. When I originally launched Ruby Media Group, a PR and social media agency, clients wanted daily posting on social media. Now clients want three to five posts per week. 7) You don’t add editorial commentary. This isn’t 2009. It is not enough to post an article link and say that your social media account was updated for the day. Social media requires meaningful effort. You can’t just wing it. Plan out your content with editorial calendars and content planning. If you are going to share something, you need to add to the conversation. In terms of content mix, it should be 40 percent engagement (thought leadership), 35 percent news and updates, and 25 percent offers. For many small business owners, their Facebook page comes up as the third result on a Google search. Facebook pages are often updated much more frequently than your company web site, so every post should demonstrate your thought leadership. You need less generic content and more authentic content specific to your brand’s value proposition. Think of your company as a media publisher. To get some inspiration, look up your favorite magazines’ Facebook pages to see the tonality they use to create engagement with fans. They don’t just curate content, they add in brand perspective and original commentary. 8) You don’t use hashtags properly. The majority of business owners misuse hashtags. The goal of hashtags is to be found by prospects—not by others within your industry. For example, if you are a surgeon in Manhattan, using hashtags such as #NYCSurgeon or #topdoctor helps others within your industry find you, but new prospects who are researching health issues won’t find you. Think about the hashtags that make the most sense for your prospects versus for your own industry. Also, hide the hashtags in the comment section instead of including all of them in the caption. It looks better aesthetically. 9) You aren’t using Facebook advertising. Facebook changed the game in terms of organic reach. If you are looking to build a business page on Facebook, it is very difficult to do so without advertising or boosting posts. Boosting posts should be only a small component of the ad campaign. The majority of your business’ resources allocated to social media should go towards running regular ad traffic to get more people to your page. Cater these posts towards your target audience. Assuming that people will magically find your Facebook page is unrealistic. In the initial stages, you need to use a solid ad campaign to give your page a boost. 10) You aren’t playing to your strengths. Social media is the place to show off your strengths. If you are great on video but not at writing, then Facebook live and Youtube should be a central part of your marketing strategy. If you are great with graphics but not with writing, Instagram makes more sense for your business. Stop trying to be everything to everyone. It is painfully obvious on social media and dilutes your brand equity. It’s better to have two great channels than five mediocre ones.